I have a few confessions today that I thought I would let out. Sometimes it just feels good to talk about it, ya know? 1. I proclaimed my October shopping ban last week, but I am confessing that I added this plaid jacket to my closet already this month. Before you start judging, part of the "contract" was that I could buy something if I sold an item on Poshmark. Well, a lovely lady came through for me and bought something. So, I took my funds, added them to my bank account and headed to Target like any smart person would do. I have had my eye on this jacket for several weeks. So it wasn't an impulse purchase, it was carefully thought through. 2. Ross and I are leaving for Mexico on Saturday and will be gone for seven full days. This will be our home for the week. Crazy, right? We have been waiting an entire year for this trip. Words cannot explain how excited I am, but at the same time, it is giving me anxiety that I haven't had in almost two years. I have battled this demon before and forgot how bad it can be; restless nights, shortness of breath, knots in stomach, cold sweats, itchy head and loss of focus. This is the longest I have been away from my girls. I know it's only for a week, but I feel like it's one of the most hectic weeks to be away from them. I am missing Logan's first two volleyball games, field day, yearbook pictures, Girl Scouts, gymnastics and all the other daily stuff that comes with the territory. I know they will be in great hands with their grandparents. I just need to breathe and remind myself that in three short days I will be taking in ocean views. Please someone remind me that everything will be okay and that I can get everything I need to get done before we leave. My list keeps growing...okay, new subject, my palms are starting to sweat as I type. 3. In other news, I have been giving my skin a little TLC before our trip. Since the weather has turned cooler and winds have picked up, my legs, lips and hands have become unbearably dry. Another confession, so dry I could write my name on my legs with my nail. Gross, I know. This is where Aquaphor comes in. I have been using it for years, but not so much for myself. If you are a mom, you know that this is hands down the BEST treatment for baby bottoms. Since my babies are no longer in diapers, I started trying out some different Aquaphor products for myself. The healing ointment is hands down the most magical potion on store shelves. It will take away every ounce of cracked, dry and irritated skin. Rub it on your feet at night, pull on some socks and you feel a difference in the morning. I fully intend on taking the lip repair with me on my trip. It's better than any lip balm or chapstick I have used, plus it's SPF 30. 4. Lately I have been in a funk when it comes to blogging. I have been in such a lull over the last several months, like I am going backward and not moving forward. I haven't been able to put as much thought into my content. I have felt overwhelmed and distracted numerous times during the week when it comes to creating a post. I can't quite put my finger on it, but something has fallen off track. I am working on getting my groove back. It's just taking a little bit longer than I intended it to. What I do know, is that I need to stop putting so much pressure on myself. It's a blog, not brain surgery. 5. My last confession is that I sang "Cool Rider" all day because of yesterday's post. I couldn't get the song out of my head. Remind me to NEVER discuss a song in one of my posts again. Tomorrow will not be this random. In fact, it will be completely normal and straightforward. Pinky promise. Disclosure: A portion of this post was sponsored by Aquaphor. All opinions are my own. It is a product that I believe in and use on a regular basis. You look absolutely gorgeous, loving that jacket, especially paired with the red skirt. I am so jealous that you are going away, I have been to Mexico twice and loved it everytime!! How fabulous do you look!!!! Shanna, you are stunning! I adore everything in this outfit, the red skirt and necklace are particularly fabulous! I think I may need to visit Target when I am back from vacation - this jacket is stunning! Enjoy your time off with your hubby! Stunning! Love that jacket! And it really looks perfect with your pencil skirt (amazing color btw!). Several things: `1) I saw that jacket on another blogger on Instagram, and it got me so excited. Now that I'm seeing it on you I'm down right jealous. I need to get myself to Target asap! 2) You are going to have an AMAZING time on your vacation. But I totally get the anxiety thing. You'll be fine once you get there! 3) Blogging is such a hard thing to do all the time. If somebody is not a blogger, it's hard to understand. I get it. But as a reader, I don't think your content is suffering at all!!! You consistently put out great posts!!!! LOVE aquaphor its the only thing that cures my chapped lips! 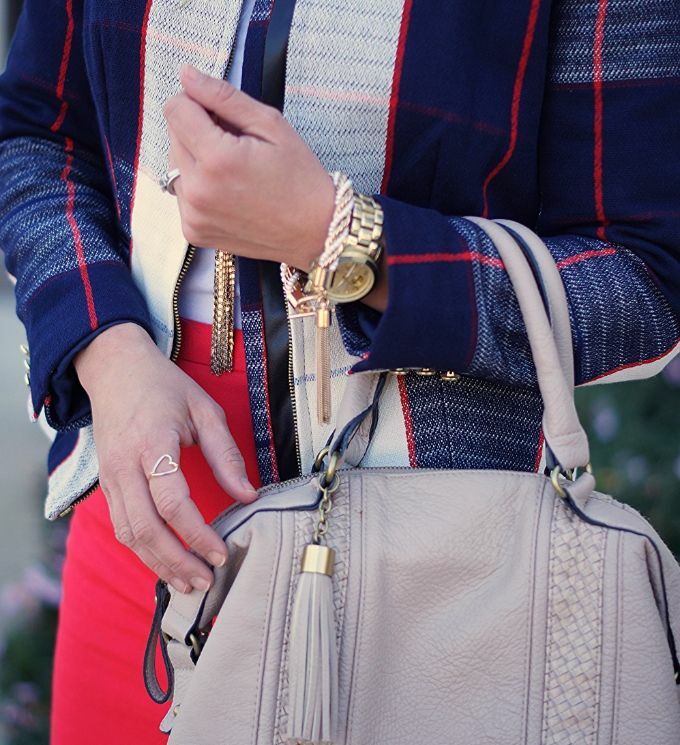 This outfit is fab and is making me want to run to target! I'm in the shop for some new shoes and a handbag but wouldn't mind a little fun jacket :) Enjoy your trip! I totally almost bought that jacket from Target the other day. Instead I picked up a black and white colorblocked shirt. And the same thing happened to me with that song... I won't even type the name. I wrote a car post and then for a day was singing it. Awful. Have a wonderful time on your trip. It will bring perspective to your work and hopefully the anxiety will go away. I know just how that feels. I'll keep you in my prayers. Girlfriend, I was singing "hopelessly devoted" all night last night. We must've been getting those Grease 1 and Grease 2 vibes from each other. Have the best time on your vacation. The girls will be totally fine, and you'll get the rest you deserve and need from it! Gorgeous look. The jacket looks amazing. SO proud of you for selling clothes in order to buy new ones :) And SO jealous of your trip! You deserve it! Beautiful outfit. I "need" to go look for that jacket now. Maybe this vacation will help. I get it though........something the last few months has been off for me too! (I'm blaming my funk on work.) Can't wait to see all your Instagram pics from Mexico! 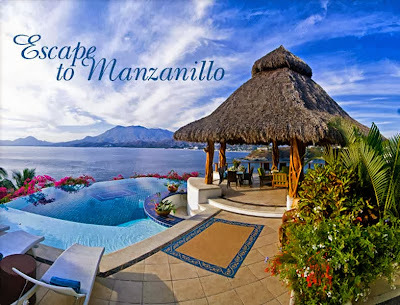 You are going to get EVERYTHING on your to-do list done and everything is going to be perfect when you're in Mexico and you're going to have the BEST vacation!!! And you deserve it!! I need one of these tassel necklaces! they are adorable! And love your shoes. Have a GREAT time on your trip baby! You deserve it! HUGS! Relax! If you are off your blogging game, I haven't noticed. Your content and photos are spot-on, as always. I felt the same way over the summer, having my medical issues and just working so much I felt like I didn't have my blogging game on. I started keeping an outfit ideas journal, where I write down ideas as soon as they come to me, and then I also started trying out more looks from some of my favorite bloggers (like my little white dress and cowboy boots inspired by this blog!.) I did four "inspired by" posts in a row and felt right again. And aquaphor rocks. I use it on my tattoos when they are fresh to keep them moist. The jacket was worth it! It IS a blog and it's not brain surgery...I think the seven days in beautiful Mexico might be what the doctor ordered. Don't think! Just enjoy and be and relax. Your girls will be fine and you will get everything done in time. Saw the pic of the jacket on instagram...a smart purchase. ;) definitely VERY versatile. How's that for enabling? You look so cute, I love that jacket. I fully support this purchase. And I'm so excited for your trip, you're going to have so much fun. Don't worry about the other things, it'll all be fine! 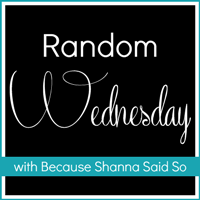 I've been in a blogging funk lately too, so you're not alone! So in 6th grade, I had the WORST cracked knuckles...we're talking bloody, gross. My teacher (which she wasn't allowed to do but didn't care, she rocked) gave me some Aquaphor and it literally changed my life. It's a staple in my "skin care" products. It's just that amazing. Love the jacket!!! Also, you totally need this vacation...the girls are going to be JUST fine and have tons of fun stories for you when you come back! :) Enjoy it! Love that target jacket! So pretty! Have an AMAZING time in Mexico! JEALOUS!!! I want that bag ! Your outfit is perfect, love it. I tried on the skirt component to that jacket the other day–I loved the print, but hated how it looked on me. I wish I saw the jacket there! I am feeling quite jealous of y'alls vacation! (My) Ross and I were supposed to go to Mexico for our 2nd anniversary but had to cancel it for financial reasons since our puppy got sick at the beginning of the year. We spent the same amount on her health that we were supposed to be saving for our vacation. BOO HOO! I am sure y'all will have the best time ever!!!! Aquaphor is the best! I have the big tube of it that I shamelessly carry around in my purse (and have one in my bathroom, nightstand, desk, car... you get the picture) and I use it for everything from dry lips to gnarly cuticles! Also, your "it's a blog, not brain surgery" definitely hit home with me. Funks happen to everyone, we're only human! Hoping your vacation is just the remedy you need :) You deserve it! so much to say- i love this look- you needed that jacket. mexico is well deserved- sock it up! #4- you have to understand that i love (ans so many others too) what you do and how you run your blog. Just remember we truly love you for you. To me, you aren't a typical fashion blogger. you are real. I feel like I know you and like im seeing what my cool, stylish friend would wear. just remember that! This jacket is so fabulous! How have I missed it at my local Target?! I can completely relate to your feelings about blogging. What you describe is exactly what I'm going through! I feel like I've just been going through the motions, and I definitely feel like I'm moving backwards. Hopefully I can kick my funk soon too! Love your look!!! 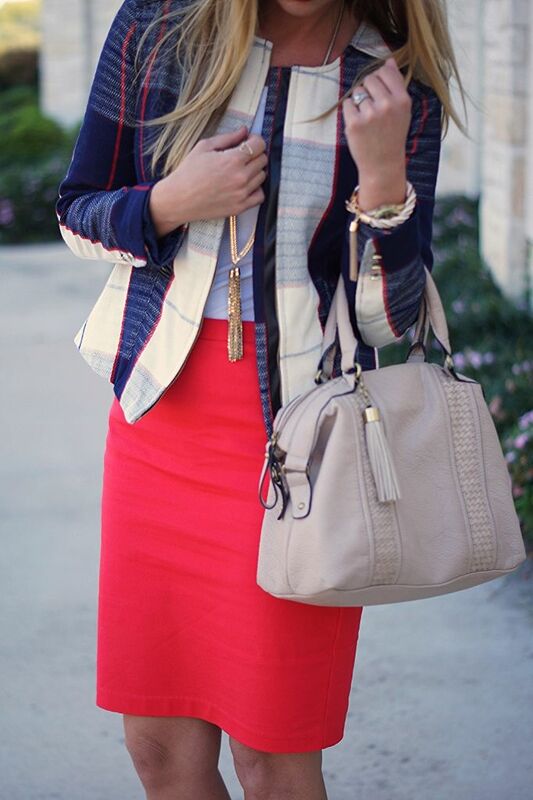 I love the mix with the jacket and the red skirt! Sooo pretty! 1) LOVE the jacket -- inspired me to buy it also. 2) it was my first time "linking up" and I think I might have done it wrong!! Sorry for double posting myself!! What a gorgeous jacket. I might go get it at Target. I love it with the Red Pencil Skirt. I also loved the moto jackets you featured yesterday. Need that jacket! How does the sizing run? You look gorgeous as usual. And I love that jacket (even more because I have it too)! And I hope you have an amazing time on your trip. I get super anxious the week before I travel because of all the stuff you have to do but once you are on that plane, it's all worth it! It's gonna be amazing and you guys deserve it! This is so cute! I LOVE this Target jacket! Oh I love that jacket! I've been looking for anything cute and plaid I don't have any plaid in my wardrobe at all. Serious. And your vacation sounds so dreamy!! Have SO much fun and don't stress! You have better self control than I do because I am about to break my ban and go get this jacket. I have been eyeing the skirt version coz I hadn't even seen the jacket. This jacket is everything! You look fabbbbb! As for your anxiety about leaving the girls, it is justified but grandparents are always SO much cooler than parents. I've met your parents and your mother-in-law and they are all so great! You girls will be just fine! Please go enjoy yourself. You deserve the break!! I've been trying to put a ban on shopping this month too. But then there was this sale at piperlime... Self control fail. I think I need to start Poshmarking, have so many things I'd like to get rid of! Funny, I'm in a bit of a blog funk too.....I think I'm just exhausted.....and blogging while preggers? Not nearly as fun! You are stunning, Shanna! I love the blazer and I think that's a pretty good deal that if you sell something, you can buy something! You will have SUCH a great time in Mexico! I'm excited for you (and a little jealy)! That is from Target!?!?! So cute!! 1. Tassles, tassles, tassles! LOVE! 2. I love when my shoes match my purse, and yours do here... just something that makes me happy! Shocked isn't even the word I would use when I saw you got this jacket from Target!!!! Looks great on you! Hi Shanna, Just want you to know I too can relate about the anxiety thing.. Mine were pretty much under control for about two years now. Until I got pretty sick then I noticed they were back in a BIG way, I didn't even realize I was going down that road until it was to late.. So back to ignoring the anxious feelings and the worrying..
Just got to keep our minds off of all that stuff ya know and we will be better. Anyways sorry for the rambled post just wanted you to know I understand . Love this look! I have been wanting that blazer too. Don't stress about your vacation (says the one with massive anxiety issues)! You are going to have the best time! LOVE that jacket and so excited for you and your trip! That's going to be amazing! I am so jelly! I want that jacket! You wear it so well! Oh and please take me with you to Mexico! Hope you have a blast!! 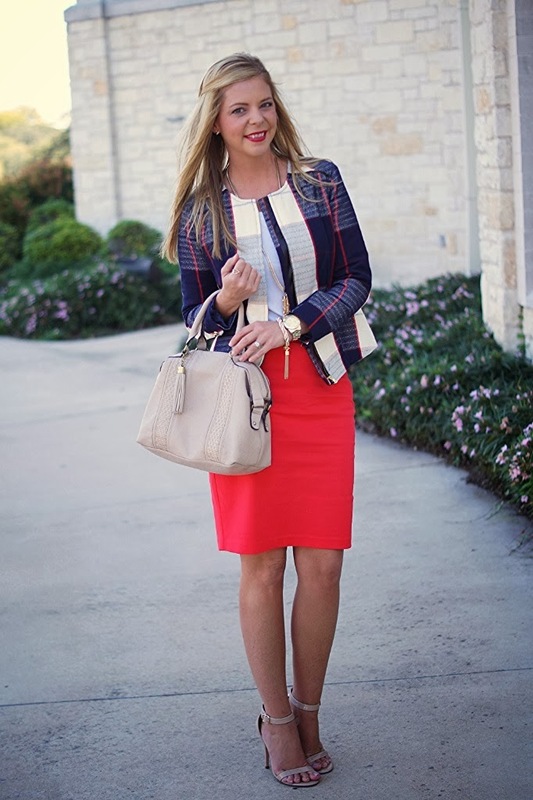 I love this look- perfect for a business casual setting. And Aquaphor is a life saver! Gorgeous outfit. :) Love your jacket! You're so pretty! That blazer is certainly a great buy Shanna....it looks so versatile & polished. And you guys really need a break like this once in awhile.... don't worry everything will be alright with your girls. Thanks so much for your lovely advise Shanna.....it means so much to me!! Everyone goes through blogging funks and you have so much going on that it is not a surprise. Take this time on your trip to decompress and ENJOY yourself. You will be able to be 100% if you truly enjoy the time and RELAX! tassels, tassels everywhere! Love it. That jacket is amazing, definitely a great addition to your closet. Hope you guys are having a blast in Mexico! I'm late to to comment, but I have seen your IG pics so I know you're having a blast in Mexico! The thing is, its never a "good time" to go on vacation because you're always missing something. But you will come back refreshed and ready to take on the world again!